Our ability to reach our customers at their doorsteps is also a point that our customers need to keep in mind. We have built a highly successful and reliable locksmith business and our focus on commercial customers is there for all to see. We also can offer high quality maintenance and overhauling services by oiling, and removing corrosion and rust from a few locks and keys. Whenever there is a need for a single stop solution for various types of locking and keying requirements for various segments of customers, you must certainly have a look at the kind of services offered by us. We have built a good reputation in this line and therefore it would be better to know something more about us. We are much more than a conventional locksmith which you may have interacted with. We are professionals of the highest order and therefore you can expect all kinds of locking and keying solutions from us. 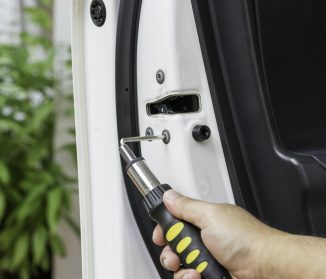 It could range from simple things like repairing damaged locks to more complicated jobs such as moving from a manual to an automated locking and keying environment. Further you can also count on us for offering our services to automobile customers and help them when they are stranded with a lost key either in homes, offices or other places. On the other hand we also can offer the best of services whenever there is a need to have a relook at commercial and domestic locking and keying services. We can offer the best of advice and counsel for putting in place high quality CCTVs and other monitoring devices apart from helping with conventional locking and keying requirements and solutions.